Through several years of superior service and quality workmanship, we have earned the title of Preferred Contractor and are able to offer industry-leading warranties. 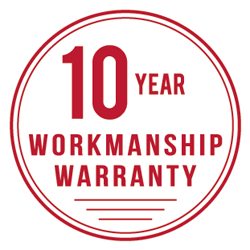 All complete re-roofs come with a 10 year workmanship warranty provided by Holloway Roofing with no additional cost. If you desire more coverage we have options for you. 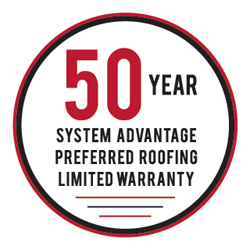 The System Advantage Preferred Roofing Limited Warranty is provided through Owens Corning. This warranty has up to 50 year non-prorated period that covers both material defects and the labor to repair or replace them. This warranty is transferable up to one time and only Preferred Contractor status allows us to provide these options for extended coverage.